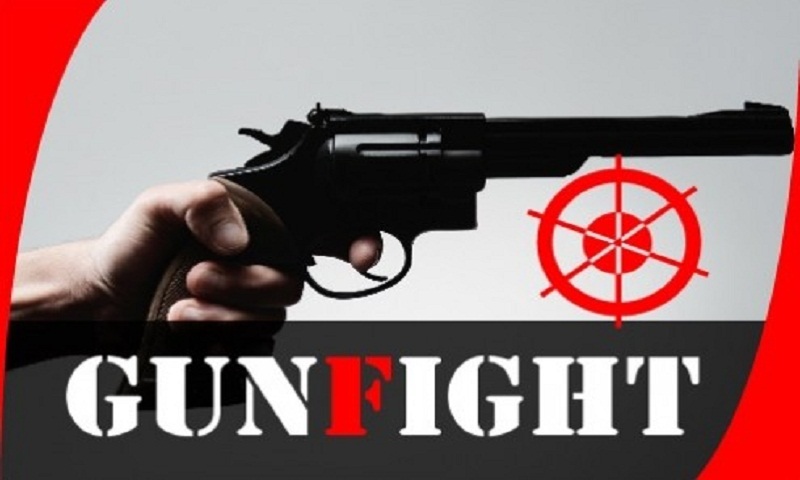 Five suspected criminals were killed in separate 'gunfights' with members of Rapid Action Battalion (Rab) and police in the capital, Cox’s Bazar and Pabna early Tuesday. In Dhaka, two unidentified ‘robbers’ were killed in a reported gunfight with the members of Rab-2 in Rayerbazar area around 3:30 am. Being informed that a gang of robbers was staying behind Rayerbazar Graveyard, a team of Rab-2 conducted a raid there around 3:30 am. Sensing the presence of the elite force, the gang members opened fire on them, triggering the gunfight. The gunfight left the duo injured with bullets. The injured were rushed to Dhaka Medical College Hospital (DMCH) where the duty doctors declared them dead around 6:30 am, said Sub-inspector Bacchu Mia, in-charge of DMCH police outpost. The team recovered three pistols, bullets and sharp weapons from the spot. In Cox’s Bazar, two suspected drug traders – Abdus Samad, 27, son of Md Shah Alam, of Sitakundu upazila in Chattogram district and Abu Hanif, 30, son of Nazmul Sarder of Jashore district-were killed in a reported gunfight with the members of Rab-7 in Morichya area of Ukhia upazila around 2:30 am. Major Mehedi Hasan, company commander of Rab-7, said that a Rab-7 team set up a check post in the area. When a truck was passing through it, they signalled it to stop. However, denying signal, the drug traders opened fire on the elite force from inside of the truck, forcing them to retaliate which triggered the gunfight. After the gunfight, the team recovered two bodies from the spot. The Rab official said that they recovered 1.30 lakh pieces of Yaba tablets and a foreign pistol, one shooter gun, eight-round bullets and eight-round bullet shells from the spot. In Pana, Korban Hossain, 36, son of Kiamuddin Pramanik of Jatrapur village in Ataikula upazila, and a suspected leader of regional outlaw party ‘Naksal’ was killed in a reported gunfight with police in Koijori village around 1:30 am. Being tipped off, a team of police conducted a drive in a jackfruit orchard, said Masud Rana, officer-in-charge of Ataikula Police Station. When the team reached there, the outlaw gang opened fire on them, prompting the law enforcers to fire back which triggered the gun battle, leaving Korban dead on the spot. Four policemen were also injured in the incident, said the OC, adding that they recovered a revolver, four cartridges, two cartridge sells, 20 Yaba tablets and a motorcycle from the spot. Korban was accused in several cases including murder and robbery, said the police official.